James Goll: What Are the Next-Generation Prophets Saying? In every generation, God raises up dread champions who have a "Voice that Can Be Heard"—these messengers carry a clear sound, marked by integrity and the operation of the gifts of the Holy Spirit. Revelation, favor and authentic authority rests up on their lives and words. I remember clearly when ministering on Dec. 12, 2015, at Life Center in Harrisburg, Pennsylvania, that the Holy Spirit apprehended me and stated, "This is not your season to birth, it is your season to father." As I continued to worship He continued to speak. "You must identify, empower and release other leaders into spheres of your ministry." I knew I had just heard the Holy Spirit give my next marching orders, and instantly, I knew some of the action steps to take. One of our clear goals must include the joining of the generations. This is when the wisdom of the older generation is joined with the resources of the middle generation, which is then coupled with the zeal of the younger generation. In other words—three generations in one generation working together. Words and phrases such as "lineage," "legacy," "heritage," "divine inheritance" and even "going for the double" are not just the latest spiritual buzzwords. They are an authentic burden from the Lord to see progressive momentum take place. We are given a beautiful model of this in Exodus 17, when Moses stood on the hill with his hands held up by Aaron and Hur. As Moses' hands were held high, the next generation, including Joshua and Caleb, was successfully warring in the field! With this view in mind, I have asked three prophetic leaders of the next generation to briefly describe what the Holy Spirit is sharing with them. I consider each of these anointed leaders as my sons in the faith. Each one carries a very distinct calling to equip the body of Christ to be released into different spheres of society. Let's turn our attention to hear "What Are the NextGeneration Prophets Saying?" Matt Sorger travels the world with his wife, Stephanie, and challenges people of all ages and denominational backgrounds to be true disciples of the Lord Jesus Christ. Matt moves strongly in the prophetic and words of knowledge with signs and wonders following. Recently I turned to Matt and asked him, "What is the Holy Spirit saying today? What message are you carrying?" Matt immediately responded with a challenge, "Is your shadow dangerous? Are you a carrier of God's manifested presence? Are you hungry for more of God, or have you grown passive and lukewarm?" Though I have known him for years, at that moment, I felt like I was sitting with a true modern-day prophet as his words pierced me. "The Holy Spirit is looking for those who will change the spiritual atmosphere around them. They have become so ruined by the glory of the Lord that they are willing pay whatever price is necessary to see long lasting change come." Matt went on to cite multiple examples of healings and miracles happening in the nations, telling stories of God's heart for reconciliation being released. Matt closed out our short interview with a powerful declaration, "You can be a carrier of the glory of God!" Jon and Jolene Hamill live in the Washington, D.C., area and are the directors of Lamplighter Ministries. They are deeply involved in multiple aspects of the global prayer movement and are the International Directors of Prayer Storm with the mandate of restoring the Moravian Watch of the Lord. This couple carries a mantle of prophetic intercession. Recently, the Hamills completed a 50-state tour of the United States, traveling via train and declaring, "It's a turnaround season for the body of Christ from state to state and city to city! It's time to turn the tables on the devil and time for the body of Christ to play the winning hand!" When I asked Jon what the Holy Spirit is saying, he could hardly contain himself. "It time for modern-day Paul Reveres to arise who issue the midnight cry. They carry the lantern of the light of God's Word and expose darkness through the power of prophetic decrees. It is a season of the suddenlies! It is a time when this nation enters into a renewed covenant with the nation of Israel, and we truly are Israel's best friend." Jon and Jolene carry a revelation that the Lord's Supper is one of the highest weapons of spiritual warfare, and they personally receive Communion almost every day. "We are living in the days of Jeremiah, where we have the authority to tear down and uproot in order to rebuild and plant the ancient foundation of the Lord." Steven and Renee Springer are the leaders of Global Presence International and lead a House of Prayer and a local church in Madison, Wisconsin. 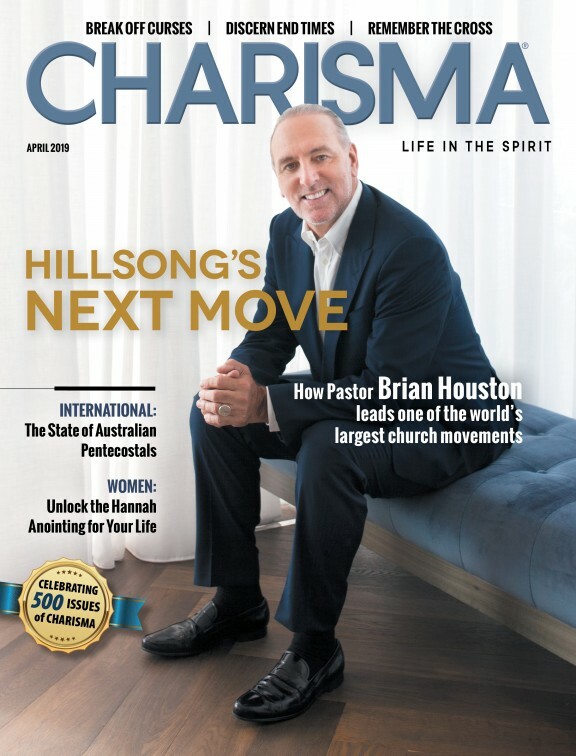 Coming from backgrounds in modeling and photography, the Springers carry a unique combination of experience in both the marketplace and the church. Prophetic and power evangelism have always been their message. I asked Stephen, "What message are you consumed by?" He answered, "Oh, wow! You know! It's harvest time! It's a strategic season when the manifested presence of God invades the seven cultural mountains. This is a missing key to the great harvest. There is a window of opportunity opened when the Holy Spirit ignites supernatural faith in His people to move in signs and wonders and the greater works that Jesus declared." Undoubtedly, these two carry contagious faith and believe that Jesus Christ is the same, yesterday, today and forever. As next-generation prophetic leaders, the Springers carry a strong conviction that "His presence is a missing key to the great harvest." Psalm 110:3 depicts an amazing time when youth will volunteer freely for the Lord's purposes. "Your people will follow you in the day of your battle; on the holy mountains at dawn of the morning, the dew of your youth belongs to you." The prophet Joel also describes an unprecedented global activity of the Holy Spirit. "And it will be that, afterwards, I will pour out My Spirit on all flesh; then your sons and your daughters will prophesy, your old men will dream dreams, and your young men will see visions" (Joel 2:28). I am seeing with my own eyes that there is power in the joining of the generations. These three couples are wonderful examples of the reality that fruit comes forth from relationally building together. We really are better together. With strong conviction and delight, I now join in with the shout, "My generation's ceiling really is the next generation's floor!"